Love, love, love "Reynard the Fox", but what a horrid mix. The drums panned hard-left was such an obnoxious choice; and the "Floored Genius" remix hardly improves matters with a vocal that's ruined by shrill mids. Sounds great out of a speaker; but truly painful on the ears through headphones! One of the few albums in my collect where the bonus tracks are actually worth listening to! 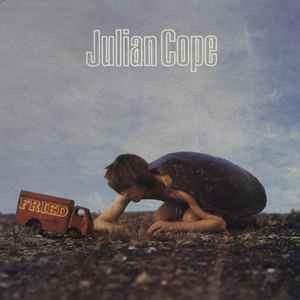 A lot of attention is lavished on the cover photos of Julian under a turtle shell, for me the music transcends such publicity seeking nonsense and stands on its own today as much as it did at time of release. From the desperation of Reynard The Fox, to the fragility of Me Singing, the bluster of Sunspots, to the drug induced silliness of I Went On A Chourney, this is an album of contrasts, whilst remaining a coherent whole. Buy it now!